ESF System - Alarms/Security, Electrician based in Woodlands Drive, Middlesex. 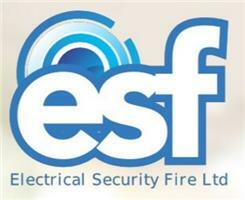 ESF are an independently owned local installer of electrical, security and fire safety equipment. With continued aftersales service and maintenance of our products we ensure our clients come first. With offices in Stanmore, Middlesex, we are able to service Greater London and the surrounding areas, employing only experienced fire and security professionals. Our customers are both from both the Private and Commercial sectors, ranging from small businesses, households, schools, farms and doctors surgeries, to warehouse units, data and distribution centres. Offering a wide range of products from electrical installation, electrical maintenance, pat testing, fire safety systems to burglar alarms and CCTV systems, we deliver to the highest service levels as policy, ensuring all our clients whether large or small are met with the same level of competence and professionalism as expected. Regulated and inspected by the NAPIT, SSAIB, all our fire &amp; intruder alarms and all CCTV systems can be fitted independently or can be monitored by an alarm receiving centre, for police or fire brigade response. All HMO works undertaken.